Home / Blog / 360i News / Media Planning & Buying / 360i Partners with FOX Sports to Bring the World Cup to the U.S.A.
in 360i News, Media Planning & Buying with tags FOX, media buying, media planning, World Cup Both comments and trackbacks are closed. 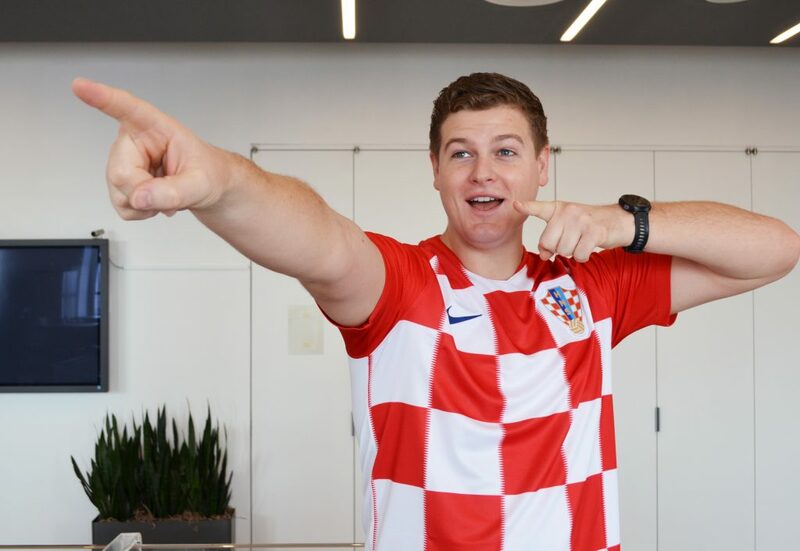 World Cup Fever hit 360i! As Media AOR for FOX’s 2018 World Cup broadcast, we were challenged with no small task: how do we get America to tune into a tournament where there is no USA team? 360i rose to the challenge to develop the biggest media effort in FOX Sports history. The robust, integrated campaign took more than a year to prepare, and was a joint effort of our FOX and FOX Sports teams, both based in Los Angeles. On top of the brilliant basics of a national media campaign and some great digital partnership executions, we ran tech-driven digital out-of-home in major markets. 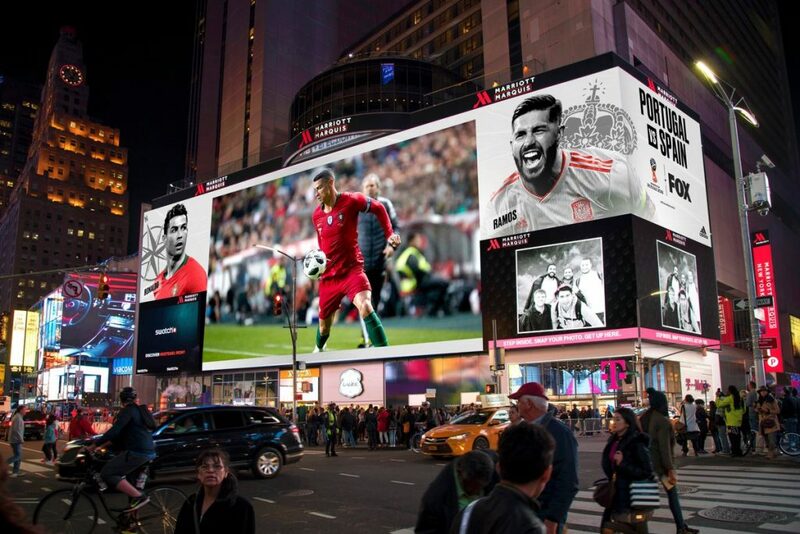 Digital kiosks and billboards offered “virtually live” highlights of every game leading up the World Cup final on July 15. We even helped FOX Sports bring the games to the heart of New York City with a live broadcast in Times Square. The Spain v. Portugal match aired on Silvercast’s 78 by 330-foot HD screen known as “Mega-Zilla” between 45 & 46th Street on Broadway. 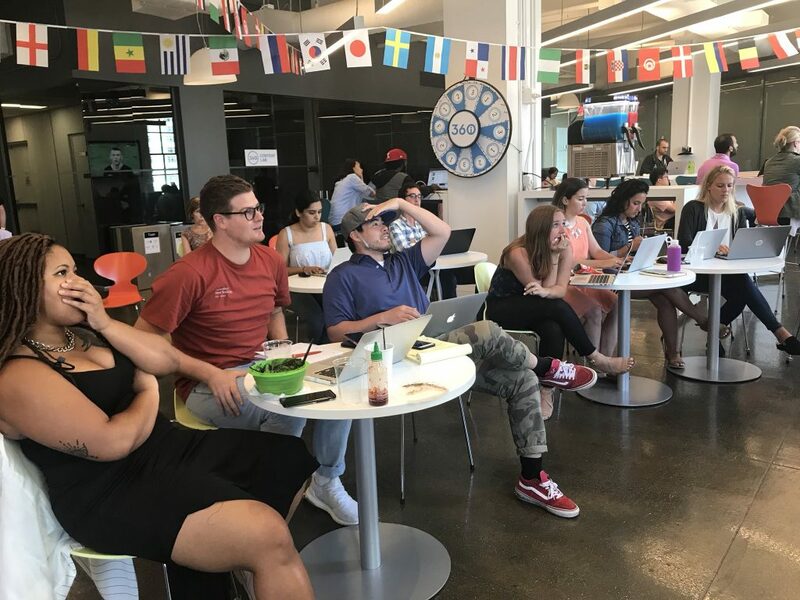 Back at 360i HQ, we invented our own celebrations, which included viewing parties, an “Around the World (Cup)” best beverage contest, and a Spanish and Portuguese brunch feast with our USA Today partner. All in all, we scored big time.